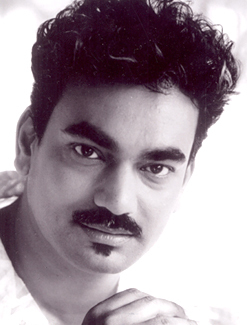 Wendell Rodricks is a designer par excellence. He is the first Indian designer to be invited at the world’s largest garment fair at Dusseldorf, certainly he has put Goa on the fashion map. All set to present his latest collection “Himalayan Live Natural” on August 20 at the Lakme Fashion Week Winter/Festive 2011, Wendell reveals his inspiration for the forthcoming collection. 1. Describe an organic lifestyle? Water for me not only symbolizes life but also home. Its motions and stillness have never ceased to inspire me. While the ocean has played an important part in my earlier collections, this time I am drawing inspiration from another source of water, the majestic Himalayan range. An organic lifestyle is one which encompasses and retains the beauty of Mother Nature for future generations. 2. You include a lot of natural organic fabrics in your collection. Do you think the green fashion industry will be more than a niche in the fashion industry? People who buy clothes will opt for an eco option any day. Everyone wants to play a part in the ‘greening’ of the planet and they will contribute in every way they can. Clothing is just one of such option. Yes, this will be a trend that I began way back in 1991 and have seen how buyers react. Two years ago we opened a special room in our Goa shop that sells only ecofriendly clothes. It is the fastest selling room. 3. Please tell us about your collection at LFW Winter/Festive 2011? The different aspects of water will be translated in the collection .from purity to the sparkling nature of mountain water. Since this is for Himalayan, I have kept a subtle pastel palette with the inclusion of fuchsia like the brand colour. My colour of the season is pale pastel. We have also used Eco dyes and kept this collection as pure and natural as we can. 4. What is your inspiration for the collection? Mountain spring water, untouched by human hands. It is like a gift from God. 5. What are the fabrics used? Natural dyed cotton linen, pure silk and pleated fabric form the base of the collection. 6. Can you tell us something about the showstopper outfit? See the show. I will not be revealing anything. 7. Why did you partner with Himalayan? If I had no emotion or connect with Himalayan, I would not do this collaboration. People may find this strange to believe but this is the first time I am doing a sponsored show at Fashion Week. Despite the many years I was on the Advisory Board at Lakme I never asked or requested a sponsored show. Ironically, after leaving the board, I get one. But as I said earlier, I believe in this product. One of the main reasons I live in Goa is the fresh air and clear spring water we have from the spring well attached to our house. How I wish we had a water source connected directly to the Himalayan Spring. But fortunately we can get their water. Pure mountain water is the epitome of good health; a gift from God. 8.The world can be a bit gloomy at time, with hunger, global warming and just the struggles of daily life. What is the one thing you can count on to keep you feeling good, enabling enjoy your life? 9. You travel often, which are your favourite destinations and which are the destinations, cultures that inspire you? I love Paris, Chile and Turkey. Great places, amazing cultures!